Porsche isn't letting up on its Mission E lineup and now we have the very first Cross Turismo concept drive ever filmed. We've shared a few videos of the latest Porsche Mission E test drives recently. Porsche ambassador Chris Webber (professional driver and award-winning race-car driver) was blown away by the upcoming electric car during his maiden drive. Porsche aficionado and Maroon 5 frontman Adam Levine - who admitted to not being an EV fan - couldn't stop driving the Mission E after he enjoyed his first lap. Now, Porsche has made the Mission E Cross Turismo concept available for a spin. Roadshow seems to be the only publication with access to it at this point, but hopefully, we'll be seeing more of this incredible car in the near future. Roadshow's Tim Stevens gets behind the wheel of the same concept car that recently debuted in Geneva. Porsche shipped it out to Malibu, California and arranged for a few police escorts to follow him around the scenic area's twisty canyon roads. Sadly, this meant that he had to drive it a bit carefully. Nonetheless, he was able to put his foot down hard a few times. While it's an early production model and the full production car stands to be much more refined, it's quite impressive, to say the least. 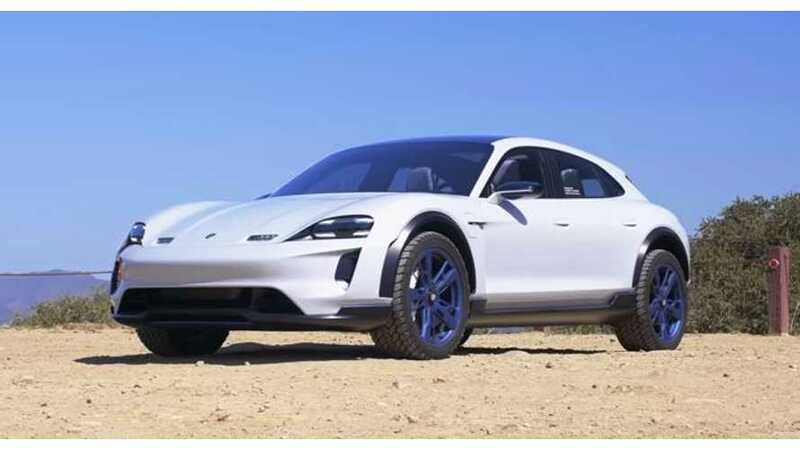 This particular concept doesn't yet have the flat battery pack beneath the floor, and Porsche still has plenty of details to work out, but Stevens points out that when it's complete, it will stand to be a true, "high-speed Autobahn bruiser," unlike anything we've seen to date. Porsche's Mission E won't hit the road for real until late 2019, but we've already had a go. Join us for the world's first drive in the Porsche Mission E Cross Turismo Concept.